Goodramgate Apartments in York, UK. Hover your mouse on one of our rooms below and then click on calendar icon to check room's availability or magnifier icon to learn more about this room and reserve it online. 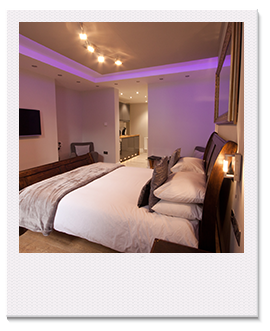 Goodramgate Apartments are the ideal accommodation for your visit to York. 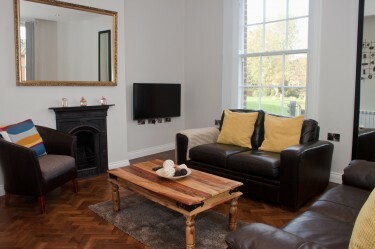 We offer eleven modern contemporary apartments in grade 2 listed buildings, ideally situated at Monkbar just a 2 minute short stroll from the Minster and main shopping centre of York. 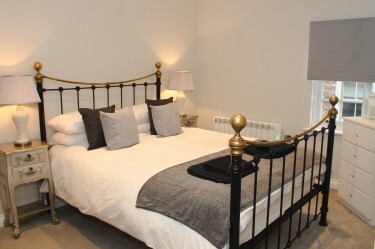 We also have a large Victorian townhouse, Bennett House, which sleeps up to 16 people. 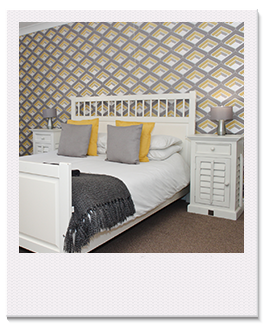 This has been recently renovated to a high standard and is ideal for families, groups of friends or hen nights - sleeping up to 16. This in the centre of York near to Clifford’s Tower and just 15m from the river Ouse promenade at Kings Staith, ideal for just about everything! The unrivalled central location of all the properties means no car is needed during your stay as all the bars, restaurants and shopping you need are a stone’s throw away. The majority of York’s other key attractions are all under a 10 minute walk away. I visited York to catch up with friends. Had an amazing time and these apartments made it all the more better. Everything you could ask for and more. Already stocked with Tea, coffee, sugar, milk, good quality toiletries, hair dryer, iron and more. It’s like a home from home. Will definitely be staying here again. I have stayed in various apartments at Goodramgate and each is signed to give 1st rate accommodation. Nothing is too much trouble and the service excellent. I try to stay with the for every visit to York and after business it’s an easy stroll to various restaurants and attractions. Apartment was comfortable, spacious and spotlessly clean and very centrally located. Great stay, apartments were clean, and spacious, right in centre next to everything you would need. We stayed one night, family with 2 grown up kids, was brilliant, newly refurbished flat, 2 great bedrooms & a big living room, great shower & fully equipped kitchen, we were very late to arrive due to heavy traffic but they waited for us till we finally got there. Best location, 2 minutes’ walk from city centre. All in all a great surprise! Lovely clean apartment,well kept and value for money. This is a lovely clean & spacious 1 bed apartment. Lovely king sized bed. Beautiful bathroom with waterfall shower. 3 of us stayed for a weekend. The pull out bed in the living area was comfortable. Everything you could ask for for a weekend in York. Location in the City wall was perfect. We had a very nice stay. 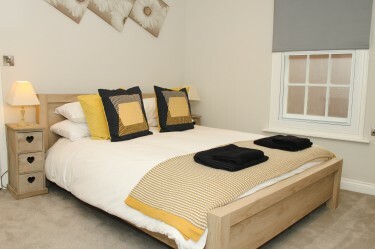 The apartments are very clean, well equipped and very conveniently located for exploring the City. Very lovely accommodation. We really enjoyed our stay! Feeling peckish? York offers a wide variety of excellent restaurants for a perfect and memorable dining experience. Find the best places to eat and drink in York below. Check our blog page or see what others have to say.